The Trust for Sustainable Living (TSL), based in the United Kingdom, is pleased to announce the winners of the TSL 2017 International Schools Debates on Climate Action at Oxford University (3-6 July). Over 200 people from 30 countries attended this year’s Debates. Over 200 students, teachers and parents from 30 countries participated in this year’s TSL Schools Debates on Climate Action. 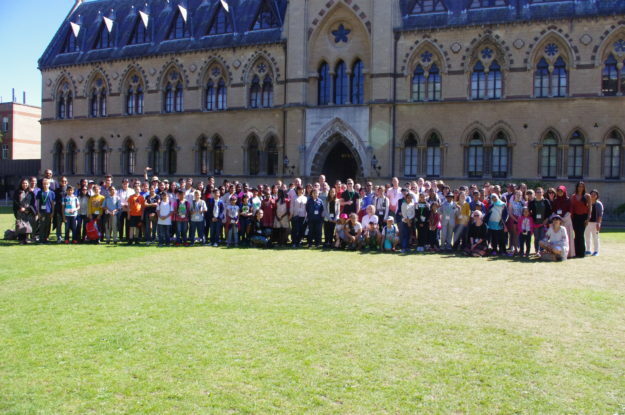 This group photo was taken outside the Oxford University Museum of Natural History, before a panel discussion with climate experts. 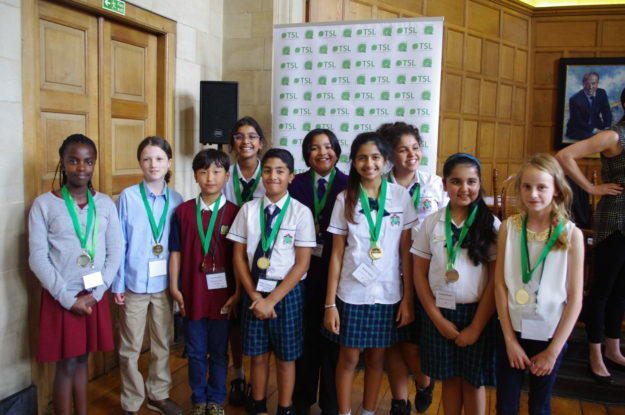 ‘The Environmentalists’ won Best Group in this year’s Primary Schools Debate at Rhodes House, Oxford. To take part in the Debates, the students first had to submit an essay outlining their ideas for beating climate change by the year 2030. The debate winners received their awards at the TSL 2017 International Schools Awards at Rhodes House, Oxford.